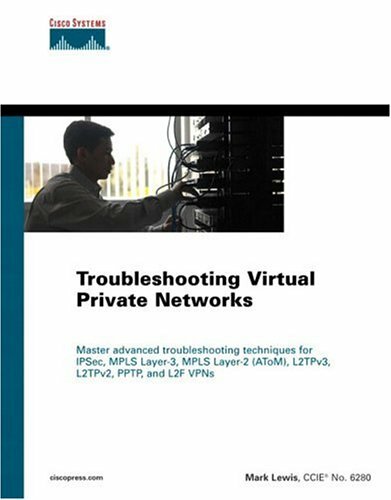 Troubleshooting Virtual Private Networks presents a systematic troubleshooting methodology for network engineers, administrators, and architects tasked with managing and deploying Cisco IOS VPNs. This book provides detailed information on addressing all common and not-so-common issues with IPSec VPNs, MPLS Layer-3 VPNs, Any Transport over MPLS (AToM)-based Layer-2 VPNs, L2TP Version 3 (L2TPv3)-based Layer-2 VPNs, L2TP Version 2 (L2TPv2) VPNs, PPTP VPNs, and L2F VPNs. This book is all about switches, which are network devices that provide LAN connectivity for end devices. The book focuses almost entirely on Ethernet switches, which have become the most popular Layer 2 devices in modern networks.